Even though email marketers are constantly challenged to increase email deliverability, an estimated 20 percent of all emails sent in North America never even reach their recipients’ inboxes. As an email marketer, this statistic is frustrating at best, maddening at worst. After all, you’ve spent a significant amount of time crafting engaging and relevant messages that you know your customers would benefit from if they were able to actually get them. But as in so many things in life, reputation dominates the world of email marketing. Long before your emails come up against the spam filter, your battle for the inbox starts with the ISP and the ISP’s opinion of your sender reputation. Keeping a clean sender reputation will increase the likelihood that ISPs will let your email through and, ultimately; maximize your email deliverability rates. Domain Longevity: ISPs give more weight to domains that have been around a long time. Try not to change your domain name. Email frequency: ISPs start flagging senders that email too often. Use your unsubscribe rate as a way to determine if you’re sending too many emails. What are some other ways you can get the message out? Can you merge two messages into one? Can you include the message in a newsletter? Email size: Again, ISPs keep track of large size emails, containing lots of images, attachments, and links, particularly if you are sending large emails frequently. Make sure to keep the size of your emails down by using embedded links, no attachments (it’s unlikely they’ll be opened anyway), and optimize images for email by using a lower resolution. Bounce rate: A key component of email marketing best practices is to keep your list streamlined. If your Email Service Provider (ESP) doesn’t automatically eliminate hard bounces immediately and soft bounces after a few times, make sure to check these and do it manually. Be aware of spam traps! 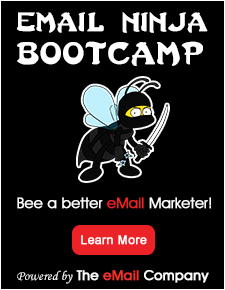 If your emails are a result of legitimate, opt-in email marketing, you shouldn’t be hitting spam traps. Correct mail server settings: Make sure your IP address is on your DNS record. When a mail server is sending email on your behalf, that server needs to be listed. To check your DNS record, you can use services such as http://dnsstuff.com/. Keep an eye on your reputation: Sign up for a service like Pivotal Veracity’s eReputation Manager. You want a system in place that lets you know if you end up on third-party reputation lists like blacklists, block lists, and accreditation services. Attention to detail in email configuration: ISPs review the heading, links, images, content, authentication, etc. Some things to ensure you aren’t flagged as spam is to avoid spammy words and misspellings. Ensure that you’re using html for email and not html for websites and optimize your email for rendering with images blocked. In the header, ISPs look at the sender’s IP address, host name of senders IP address, From or Return Path, and reply-to and From addresses. Minimal user complaints: Ultimately, you don’t want your recipients hitting the “report spam” button. Each time this button is hit, it “teaches” the ISP to flag your emails as spam (and of course they aren’t). If you’re following the best practices described above, you’ll reduce your number of user complaints at the same time. As with personal reputations, it can be hard to shake a bad one (even if unfairly gained). It’s best to ensure yours is clean from the start by constant monitoring and attention to details like those described above. The ISPs will notice (as will your subscribers, which is what you want in the first place!). If you need more help with improving or managing your sender reputation, ClickMail is here to help. Profile: ClickMail Marketing is a value-added reseller of Email Service Providers and email-related services. We offer the nation's largest selection of ESPs and stay vendor neutral so we can recommend the one that will best suit your needs. 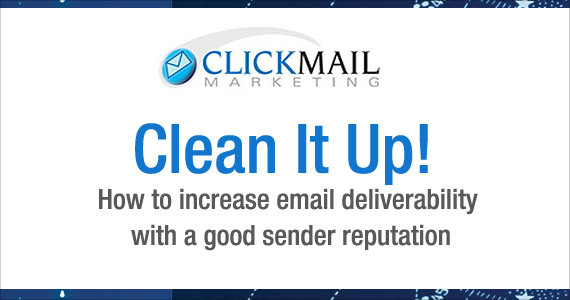 The ClickMail AdvantageSM offers top tier products with more flexibility and superior support; and ClickMail's eMarketing Services support your team and campaigns to achieve maximum ROI. Couldn’t agree more with Craig on this… why wait to get bounces when you can prevent it to happen by cleaning emails before hand? I work with http://www.GreenAppleMail.com. They take care of my database and bounces are not an issue for me anymore. Another great article from @ClickMail! Thank you. Specifically related to a marketer’s sender score and inbox delivery rate, removing bounces after they occur may be too late. Why not work with a company like LeadSpend to remove bounces before they occur?